Welcome to Over the Moon! 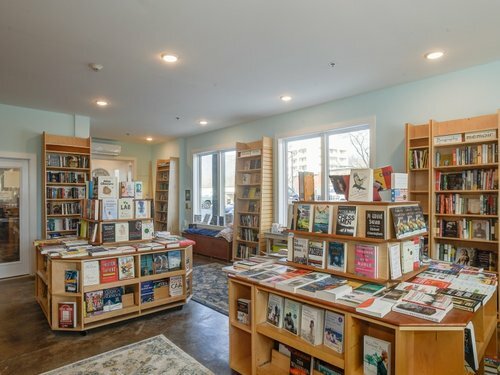 In our store, you'll find books for every reader. Quality fiction and nonfiction for adults, as well as books for children of all ages. We also feature cards and a variety of gifts, from sassy socks and magnets to journals and fun totes. We hold Second Saturdays art receptions every other month, and often host book signings and author appearances. Ask us about our Book Pick Gatherings next time your book club is choosing your next read.